Nothing speaks louder then a third party reference when it comes to excellent and professional real estate services! Here are just a few of the testimonials from some past clients……..
Leanne, working with you has been such a pleasure. It didn’t matter what time of the day or what day of the week I phoned, you always made us feel like it was okay to do so…and even better that the “hello” on your end was always so warm and cheery! Your experience, confidence and guidance really helped us throughout the process. We are grateful! Thank you Leanne for all that you’ve done. Leanne conducted the sale of our house in a professional, expert and timely manner. Her communication skills are excellent and she is readily available when necessary. We appreciated her sensitivity and understanding in preparing for our move and for promoting our house. Leanne has an intuitive sense of what is needed to maximize a house’s potential. We could not have realized the sale price without her guidance. We recommend Leanne as an extremely competent realtor. My husband and I have worked with Leanne on several sales and purchases. From the moment we contacted her to get our house on the market she was quick to put together a plan and worked tirelessly to get it sold in only 11 days in a quiet November market. 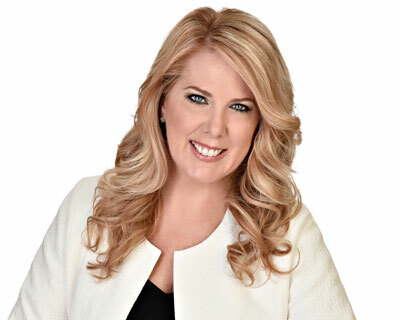 Leanne is dedicated and works for her clients while maintaining fairness for both buyer and seller. During what can be a stressful and anxious process, we know that at least choosing the right Realtor is not something we have to worry about. Team O’Donnell will always be our first call! TWO FOR TWO! Over 20 years ago, Trudy helped us sell our home and purchase another and was very thorough and helpful in both transactions. When we had to do the same again, we contacted Trudy and Leanne and they managed to do it all over again. Both were very helpful in prepping our house for sale, with extra personal and directed attention to the photos and virtual tour. That helped bring in traffic and helped sell our home in a difficult market. Leanne also worked with us to purchase another home and after some difficult negotiations, she got us exactly what we wanted and she went above and beyond. Leanne provided updates frequently and I appreciated how quickly she responded to my various questions. I highly recommend the team and thank them for their personalized, friendly and thoughtful service. I wanted to write you a quick note to thank you again for your incredible work at helping us with our relocation to Ottawa. I cannot begin to tell you how wonderful it was to work with a realtor who approached things with such professionalism and dedication, but also with such warmth and compassion. With our tight timeframes and tight budget, and without us having any knowledge of the Ottawa area, you were able to help us identify the neighbourhoods that were best for us, and also help us find a house that was perfect for our family. Both you and Leanne were so helpful in setting up appointments, tracking down information, answering our many questions and offering invaluable advice on neighbourhoods, house options and things to look for that would work for our needs. Whenever I got discouraged by the process, both you and Leanne kept us moving forward and helped us every step of the way so we could focus our energies on finding the best home for us. Thank you again to both you and Leanne for all of your hard work, your sense of humour and your professionalism. You didn’t just help us buy a house, you helped us find a home – and for that we are forever grateful. Words – or flowers! – Can’t adequately express my heartfelt gratitude for the hard work you’ve invested in selling my house. I never ceased to be impressed by your professionalism, expertise, but moreover, your kind, gentle and thoughtful approach to all of our business dealings. It’s no surprise that you are among the best in your profession. It truly has been a pleasure to have you represent me and a greater pleasure to have to come to know you – you’re an exceptional woman in every respect! I hope that we can keep in touch. We would like to thank you very much for all the effort you put into the sale of our home and the purchase of our condo. As you know, we have had a number of rather negative results / experiences with other realtors and were somewhat discouraged and apprehensive when we met you. It was thus a pleasant surprise when we realized that you did not just provide the usual sales pitch we had from others, but then actually followed through with positive action. The personal interest you took in all transactions, be it advising, staging, selling or managing issues and paperwork etc., was exemplary and much appreciated. Your knowledge of the market and your positive energy throughout, gave us the confidence we needed, when, after more than 30 years at the same address, we were selling and downsizing to a Condo. It seemed you had a solution for everything from offering temporary storage while clearing the house, identifying and helping us shop for essential items for showing the property and talking your husband, Ray into volunteering his time to get ready for the sale. It was a pleasure to see the difference a great realtor like you can make. No wonder the house sold quickly once you had taken it on. Having you represent our sale / purchase, was by far the best decision we made in this venture. We felt throughout that this was not just a business transaction for you, but that you were treating this with the care you would take if you were selling your own home. Your very professional and ethical approach along with your caring and supportive manner has made our move so much easier, and we are recommending your services to anyone at every opportunity. We would like to take this opportunity to thank you for your outstanding customer service. As you know we were moving to Toronto. Having to sell in one city and buy in another was made a lot easier for us because of your support. You found an excellent agent for us in Toronto. Life became very hectic as an offer on our Ottawa home came in as we were looking for a new residence in Toronto. You kept things moving smoothly and were always available to explain all aspects of selling in a clear and concise manner. You also made your office available to us as we submitted offers on accommodation in Toronto. In the end we sold our house in Ottawa and found a new accommodation in Toronto, virtually simultaneously. Thank you for everything. We could have no hesitation in recommending you to potential buyers or sellers. Just a quick note to say thank you for helping us with finding and then eventually selling ( in one day!) our house at 21 Cleadon Drive. We really appreciated your patience with us when we were moving back to the area from Toronto in 1999 and your very helpful advice to get a top price just two years later when we decided to sell again. You are undoubtedly the unrivalled expert when it comes to properties in the Crystal Beach-Lakeview Park area. We are very happily, and finally settled, in our new home at 49 Cleadon — again thanks to you. Please feel free to give my name as a reference to any future clients. Trudy O’Donnell assisted my husband and I with the sale of our house in April 2003 in Crystal Beach (where she and we both lived). We thought it could initially be a hard sell as we had decided to build a new home and the closing wouldn’t be for 5 months. Within 1 week we had a buyer. Trudy gave us all kinds of advice before we put our home on the market to help the house sell easier. Everything from painting certain rooms to cleaning up clutter to make the rooms look more attractive to adding valences for a more pleasant appearance. Trudy warned us it could take quite a while to sell due to the long closing date. With every potential buyer that saw our house, Trudy gave us the buyer’s reasons for non interest. Trudy was very easy to keep in touch with. Whenever we needed to speak with her, she made herself available. As stated before, by week’s end we had a buyer. Trudy assisted us every step of the way through negotiations and to this day keeps in touch. I would recommend Trudy to anyone who is interested in selling their home, in any area of the city. She is very personable, knowledgeable, keen and takes an interest. My husband and I found ourselves in a situation where we had a short period of time to sell out home before relocating to St. Lucia. We needed to choose a real estate agent, prepare the house for viewing and relocate witnin a 2 month period. Suddenly we had lot’s to do in very little time. Choosing the real estate agent was not difficult, as in Crystal Beach Trudy is everywhere on most of the houses listed in the neighbourhood Trudy’s name is on the “for Sale” signs, bus stops, etc, etc. SHe is a great proponent of Crystal Beach as a long term resident. We contracted Trudy on the 2nd day of January, she came to view the house within 24 hours. She made some recommendations on the things that could be done to prepare the house for viewing. We knew right away that Trudy was the person for the job, straight and to the point, and she also believed it would be possible to sell the house before Feb. 14, our departure date. We called Trudy on January 17th, the house was ready for viewing. The next morning Trudy was there with the documentation, and on the way out she placed the “house for Sale” sign on the lawn. She prepared the flyers, and advertised an open house for the last week in January. Showings for the house began the next day. We were scheduled to leave for St. Lucia on the 14th of February. We were in contact with Trudy on a daily basis, on the 13th of February the house was sold. Trudy truly went beyond the call of duty when she offered to check in on the house on a daily basis to check the lights, heat and water the plants, until the closing date of 1 April. We are truly appreciative of the work and dedication Trudy put into making the sale of our house worry free. Just a note to express our thanks for the wonderful job you did in the quick sale of our house. We feel you advised us very well each step of the way and are confident we were able to get the best price the market would bear. Personally, I want to thank you for the good advice you gave me by suggesting we go to Victoria as quickly as possible to purchase a home there. As you know, I work in the Canadian Real Estate Association and I was keeping a close eye on the house prices. On your advice I was able to convince Allan the time was right to by NOW. We were able to buy a lovely home and have since been told prices have been climbing steadily. You’re certainly helped us in each step of the maze we call “relocating” and I am certainly planning on recommending you as a REALTOR® to all our friends both in Ottawa and those moving here from Victoria. Again, thank you and all the best in the future. As an out of town buyer with limited time to find a house, Trudy came through with flying colours. She devoted herself to us, asking questions and listening to what our needs were. In 4 days, she found us exactly the home we were looking for.